This bar is especially formulated with a botanical blend for a foamy lather. The added clay gives you blade slip to aid in ease of shaving. 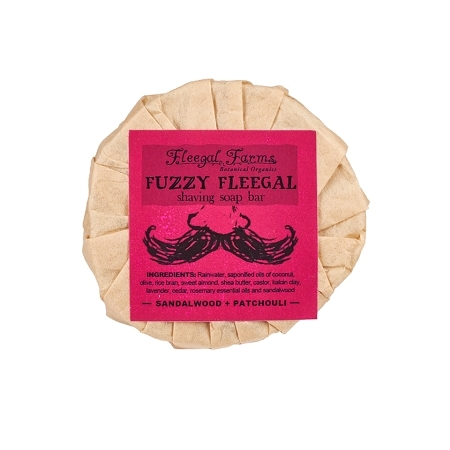 This eco-friendly shave choice is a hit with all fuzzy people. Great for faces or legs! INGREDIENTS: Rainwater, saponified oils of coconut, olive, rice bran, sweet almond, shea butter, castor, kaloin clay, lavender, cedar, rosemary essential oils and sandalwood.